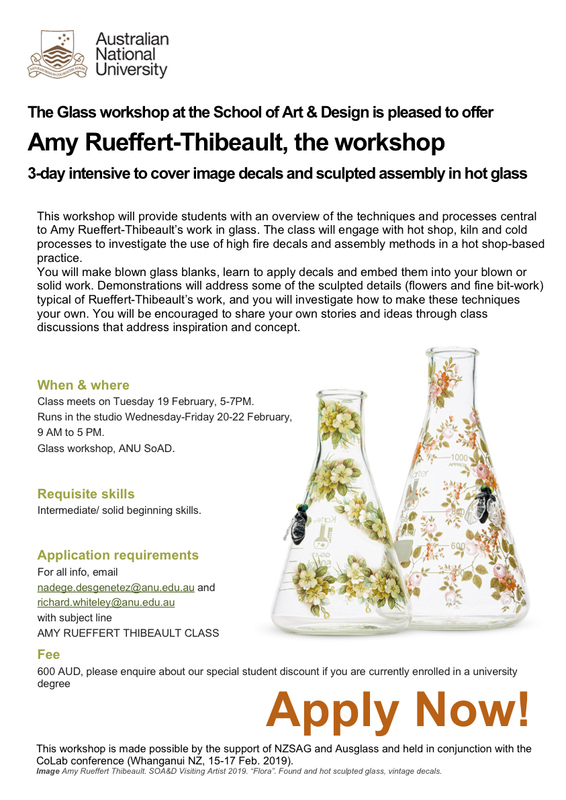 This workshop will provide students with an overview of the techniques and processes central to Amy Rueffert-Thibeault's work in glass. The class will engage with hot shop, kiln and cold processes to investigate the use of high fire decals and assembly methods in a hot shop-based practice. 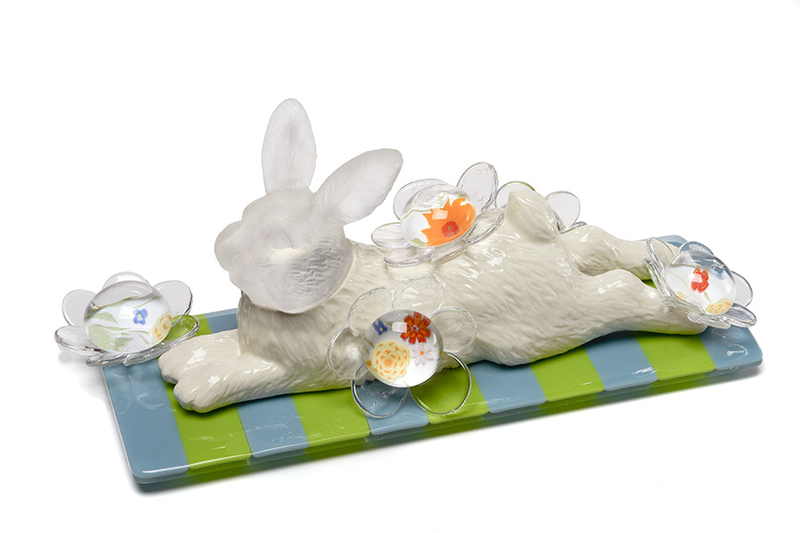 You will make blown glass blanks, learn to apply decals and embed them into your blown or solid work. Demonstrations will address some of the sculpted details (flowers and fine bit-work) typical of Rueffert-Thibeault's work, and you will investigate how to make these techniques your own. You will be encouraged to share your own stories and ideas through class discussions that address inspiration and concept. Class meets on Tuesday 19 February, 5-7PM. Runs in the studio Wednesday-Friday 20-22 February, 9AM to 5PM. Glass workshop, ANU School of Art & Design. This workshop is made possible by the support of NZSAG and Ausg lass and held in conjunction with the Colab conference (Whanganui NZ, 15-17 Feb. 2019).